He has his hands full of projects and he already managed to come up with three films this year which left everyone in surprise. He has teamed up with his friend and actor Ramesh Aravind for a drama which has been titled as Uttama Villan. Kamal excelled as a real life actor in the movie which ended as one of the biggest debacles in his career. However, Uttama Villan grabbed critical reception and the movie managed to get many awards at the International Film Festivals. Kamal produced the movie on his own banner Raajkamal Films International and Ghiraan composed the music. His second film Papanasam ended as the biggest hit in Kamal’s career which is the remake of Malayalam blockbuster Drishyam. Jeethu Joseph directed the movie and Gauthami played the female lead. He has come up recently with Cheekati Rajyam / Thoonga Vaanam which was a thriller. Kamal’s long time associate Rajesh M Selva directed the film and the movie has been receiving a decent response from the audience. Made on a limited budget Kamal has been happy with the way the film has been performing. Trisha, Prakash Raj, and Sampath Raj played the other lead roles in Cheekati Rajyam for which the screenplay has been penned by Kamal himself. Kamal has many projects in the pipeline and is gearing up with his next movie which will be directed by National Award Winning director TK Rajeev Kumar. Kamal has been completely impressed with the script and is eagerly waiting for the film to start rolling. As per the latest news, the movie will be a trilingual and will be shot simultaneously in Telugu, Tamil and Malayalam languages. The movie has been titled as Amma Nanna Aata which is said to be high on relations and family emotions. 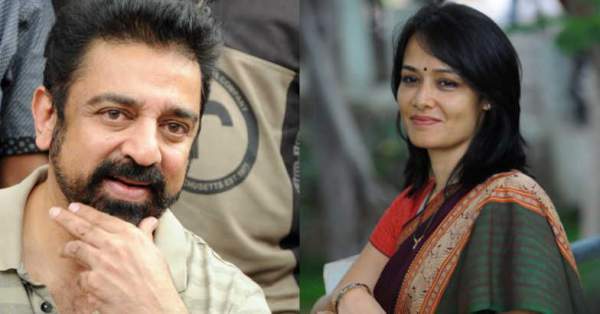 Kamal is quite excited to team up with Amala Akkineni after 27 years which is huge. He recently arranged a press meet revealing the information and Amala too who has been far from films signed the film as he has been impressed with the content. Bollywood actress Zarina Wahab will be seen in an important role in the film which will start shooting from December. Most of the film will be shot in the USA and in New York, Georgia. The shoot of the film will be wrapped up in two long schedules and the movie has been aimed for Dasara release next year. Stay tuned for more news and updates. Don’t forget to share your views and thoughts with us. Do share on social media.